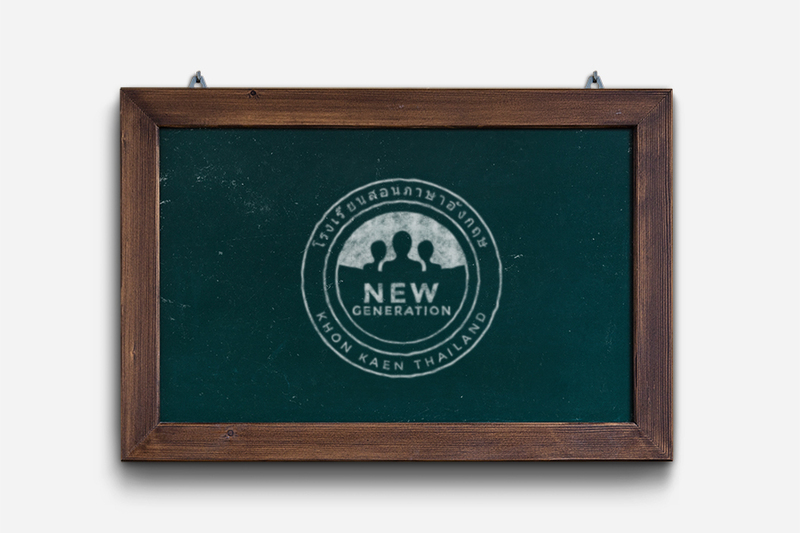 ‘New Generation’ is an English school based in Thailand. The school was founded by a British university graduate who opened it upon her return to Thailand with the goal of sharing her English knowledge with children and adults. 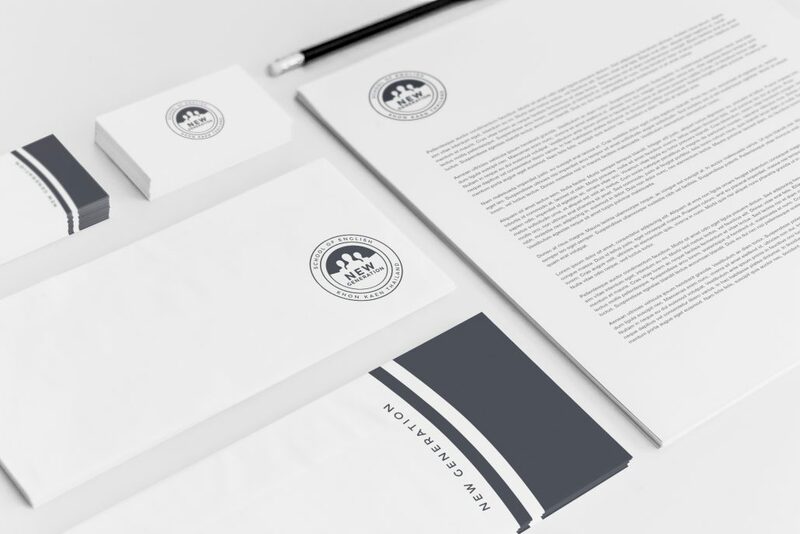 Create a logo that adheres to the Thai laws for the Education sector restricting not only the colour choice but the shape of the logo as well. The deep blue traditionally used in the education sector in Thailand has to be used. The logo has to be inside of two circles of specified radius. The logo features the image of a new generation of students as well as both the name of the school and the town where the school is based. The colour is specified by Thai law and is deep blue which is traditional for the education sector.